No more battery switching or wondering what your battery levels are with the Feeder Power Panel from Moultrie. 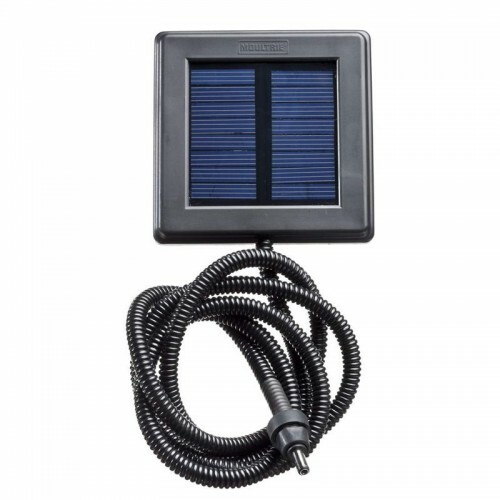 Combining a 6V battery and solar panel in one unit, the Feeder Power Panel plugs into any Moultrie game feeder with an external power port to supply power from the sun. This convenient power source allows you to run the feeder with no internal battery or in conjunction with a rechargeable internal battery for maximum field life. Features a built-in battery level indicator so you can check your feeder's power level.